Forget it! This unwritten book about PUBLIC phenomena will hunt me down! It will take DAYS before I can turn the old notes I resurrected from my hard drive into TEXTS! Intro to Biomechanics: read to understand why I DO need it! I have to open a new directory THEORY to organize the file like 3 Texts and others. Acting Directory @ Thr w/Anatoly is about the Method and the System. Read "Pre-Acting: BioMecnahics Theory for Actoors" first! The title comes from my assumption that this book could be read in one day and that acting is a process which knows no interruptions -- it's a state of mind. You don't have to perform on public to be in acting mode. Actual performance is just a product of artistic existence. The production of this poetic peace of living is the matter of this book. In order to understand craft of acting I have to talk about directors, but a director is nothing less than a representative of spectators. After all, I direct actors, space, time on stage in order to DIRECT FEELING AND THOUGHTS OF THE PUBLIC. 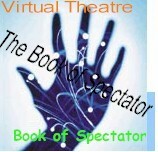 Yes, we have to start with the nature of spectatorship because theatre begins with spectator. The public is there even when theatre is dark. Public is the energy and gravitation of any spectacle. The seeing makes act of theatre possible. The minds and hearts of the public is the real stage, where drama takes place. They are silent and motionless, because they are overwhelmed at this collosal task -- to give drama full life. And the public gives birth to all theatre talents. A stranger, who lends his time and soul to the stage. We all play this role without understanding the mechanics of this "job of perception." Thanks to postmodern theories, the authorship of a spectator finally is brought to a foreground. Nevertheless, the idea that Action is not a property of stage but of the experience of the public still seems too radical. Somehow we can't let the Audience be the stage, where drama takes place. There is nothing passive about the role any spectator plays. He is the first, he starts the show, but the fact of watching it, expecting, anticipating, creating space and time of theatre, escapes our attention. We take this poor soul for granted. No, he is not an outsider.... if you know how to make him work. Before Pope was the Pope he wrote a play "Acting Person" -- Person or Individual? SPECTATOR: Stage and the House are designed for HIM to be in control (feel in control) -- that's how he could be controlled. His powers are always an illusion. It's pre-arranged. What is real? The illusion is real. Spectatorship is the art of silence. Actor needs another observer. Why? Power play? Concept (position) of God = audience. Actor has to construct this power model within himself to activate it with real audience. He creates the audience in his act. That's the difference between act and accident. Theatre event is originated for viewing, consuming, for use; as if a resurrected event (mimesis), based of possibility (memory) of "real" life. But is has to be non-real reality, the game. Spectatorship and Quantum Mechanics: the uncertainty principle. Spectator is both: a participle and a wave. Man as an observer: he is a part of the event. Depending on his vision we would react to the event. Seeing an event is an event (Book of Revelations). Frame Analysis: the Organization of Experience. Before-acting and After-acting: spectatorship and performance. Imaginary acting: through identification with a character > an actor. Using your own experience (personal memories) through negation of your own identity. Acting is an open process, it asks for re-action, a completion. By audience. By spectator's experience. We don't want it -- the time. We don't claim it as our property, we don't want to know that it's our property. The power of powerless in their weakness. No-heroic position of spectator is the situation asking for a hero. Their silence asks for words. Their motionless demands movement. Void is the reason for Being. Without non-active many in darkness the stage loses its induced powers. Public literally creates not only theatre talents (Pushkin) but the situation of theatricality. The difference between One and Many seems self-evident. It takes time in directing classes to understand that at the beginning of any show, we do not have an audience. The required reading of Peter Brook's "Empty Space" helps to explore the notion of "dead theatre." Theatre where a transformation from public into audience does not take place. Audience is a result and product of a show. From that perspective the relations between Spectator and Audience looks less simple. Here we have to split One into Many. Spectator is never One. As "I" is not a mono structure. Even Freud divides each of us in three. And each self inside MY-Self has different relations with stage. In Freud's description of a loser, we see spectator as a contradicting figure, there is a conflict build in which stage is about to use. The three levels of a Freudian being live in relative independence from each other. What if we explore the difference between Ego and Super-Ego in me? What if we make my unarticulated complexity into a journey through safe world of fiction? Of course, my Super-Ego never forgets that I am in theatre. But fortunately enough, I am not under total control of the rational. My dark, unknown to me deep pit of the subconscious, easily goes for identification. As in dreams, I am the center, the dramatic agent of action. Everything around has impact of me. I'm already on stage, where everything is personal and subjective. In one word, I am this character. And that one! And this one too! The only trick stage has to do is to let me sneak under the control of the normal logic. Let my mind to release the totalitarian dictatorship over my enormous mass of dreams and desires. The pauses -- the space where the public acts. If spectator is dramatic material (there's no dramatic sense outside of live human being), many of them create Critical Mass, stability of emotion. And Inertia. Human emotions based on animal senses: horror, pleasure. The basic feelings evoke and released through controlling conscience. Control (forms) and overcoming my own self-control. Does he resist stage? Skeptical (critic). Distance. He's a guest, a foreigner. He is nervous? It's not his place, not his territory? You have no audience to test on, but you always have a spectator -- you. How to use yourself? That's what rehearsals are for. For use, and therefor for actors. Genre (Style) I need to harmonize all the elements of the show. Since performance is multi-coded it has eclectic tendency and my prime interest to find a major organizational principle. Often it's been called "directorial concept." But in reality it's my REACTION to the "given circumstances": my public, script, stage, actors, myself. I'm the bridge between them all, first -- between the public and the play (stage). Trying to bridge them together (virtual staging) I interpret both: the play becomes the script, and the public become the text (audience). Theatre is very democratic, I am one of them (and that's why I dictate). My selection of play is their interest in its message. Interpretation of the public is non-theatrical task; cultural, social, political, moral. Two types of theatre (231). I see both concepts in every show. Actually, I try to rap serious theatre within harmless entertainment. Both visions are part of marketing. The way we promote the show, advertise and sell it. After working in Russia with open censorship I don't mind soft clinches of the box-office. Audience is just a material of the show, it could be shape with no more difficulties than actors of script. But I have to know where I can enter them. "Psychopathic Characters on the Stage" (Freud)? After Deleuze schizophrenic is accepted and institutionalized. They come to the theatre (as to church) to be weak, to be inspired, to experience the rise. We have to establish the low. More so, I have to move the low (230) is low as possible, in order to have a bigger distance between the low and the high. Entertainment thinks low of theatre public, it knows that I would be engaged in experiencing a mere spectacle. "Horizontal reading" -- fable ([plot), hero, action -- everything you can see in the movie theatre works; it's traditional (classical) genres. Vertical reading -- themes, thoughts, story -- has to come out of the horizontal reader. I believe that my selection of the play comes out of desire of the audience to see this show. I'm active (professional) spectator, so, I stage it. Interest in any play is born by the recognition of topics, themes, ideas, but all this is need of life. I don't understand the idea of following public demand, or pleasing the audience: how do you follow and please "the material" of the show? Although script selection reminds the casting, the process of matching. Sub-genre: it's never just a comedy, or a drama. We have to work out the sense of the style to the point when our criteria could be applied to all elements of the show, from costumes to acting. Two texts (audience and play) after a simple juxposition grow into a new hierrarhial entity -- the show. The show is a result of the meeting between the play and the public. At what point do I consider actors within the process of "virtual" staging? At any point and at no point. They are material also. The better actor, the more so. You can get anything out of him or her, if you know how to do it. Actors are public too. Here's your first reactions. When actor doesn't understand something, it's the audience who doesn't understand. The trouble is when he doesn't know that he doesn't understand. I agree with Plato, the power of theatre is enormous, we can shape the audience minds, their souls (Brecht). What do we want them to be? I'm the public, I answer. 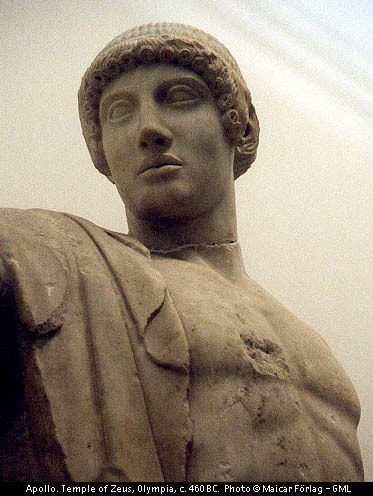 Pathos v. Logos and Ethos. Is theatre an Art Form? We don't know the final forms of spectator's text; they're not fixed, not structured aesthetically. Theatre Arts end within non-artistic field, and we are left only with traces of production process. Experience, almost gastronomical. Multiple senders and receivers > multiple messages (collective experience). Because it's too much of a play? Spectator is an instrument to play on -- for his own enjoyment. Inductive creatorship. He forgets that he is being manipulated, because he welcome it. What actually do we imitate? Life? We repeat something which could not be repeated -- death scene, good example. We fight entropy and we make time into a material. We can't imitate anything without alienating it (noticing, understanding), i.e., negating it. To imitate is to "steal"4 the essence. By imitating I'm gaining a control (through knowing), the imitated becomes a sign, repeatable, insignificant, my property, I discover his secrets (his formula). I got his formal structure and made it a part of my domain, available for other to see, to laugh -- to have power over him! I didn't imitate him but his quality. Vigodsky: I take a stone, not another body, to imitate the body -- sculpture. I take two-dimensional canvas for imitation of thee-dimensional world. Even inn theatre my material for imitation is actually another individual, not his brother, double, of he himself. Children imitate adults because they're not adults. Imitation requires difference, distance, another being, being of not the same. Real physical bodies on stage are the obstacles to overcome, they must be transformed into non-material presence in order to carry on the task of imitation. Imitation asks for opposite. Object of imitation has to be negated in his original material since imitation is a communicational act. Imitation belongs to another world, the world of ideal, which is world of meanings. Our "real" would couldn't even been noticed without the world of "illusion." It doesn't exit without being seen (at least as humanity is concern). Imitation brings it into human (not only physical) existence. Of course, by definition Imitation is not "physical." It only looks physical and done through physicality. Mimesis and memory: the same? 2. Production (performance) and consumption at the same time. How different is the street watcher from thr spectator? One-way occurrence in arts, except in theatre (?) Bakhtin's thought that reading is an event in the book's life: the message is changed by my reading (contextual concept of meaning). The engine of the show needs fuel = public. Emotions, or dramatic emotions? Then they become "theatre" emotions (without losing the memory of being real)? Virtual Reality story (dream); everything happens to me? I'm the subject of dramatic experience. That makes me into object of theatrical production. He is "inside information"... Theatre of no public: 1) he "forgets" that he's not alone, 2) he "forgets" that this is only a show. This is impossible, and this is why theatre aims at achieving it. Why live? Next to the movies, books (within this context). Question: HYPER-TEXT ISN'T A TEXT, but an ACT? Semiotics of spectator's mind, value and production of emotions, timemachine (factory) of show business. How does a show grow in meaning within two hours of its existence? Audience (many) as a H-text. Public makes stage chronotope (space-time) into a hyper-text. Web of messages. How the spectator browses the net of the show? Links? (definitions needed, building Glossary, redefining the old terms. From the Audience POV. Semiotics of spectatorship). The engine. Director is a designer, he organizes the hyper-text (Site owner?) To talk about directing is to talk about the public. Why is drama or acting we had no need for theory of spectatorship? History of stage directing coincides with the century of cinema. Surprise? Not really, it's the same historical process. Thought (process) is a H-text (associations). Society is H-text (s). On a modeling level the global society could be seen as "mind." The most private system (stream of conscience) became an apparatus for WWW. Gathering (meeting), service (belonging, togetherness). Indirect confessions (direct to yourself). Theatre is a public consumption, movies -- private. Metaphysics of Theatre. The result: from becoming to being. Show: lost and regained time. Show exists in time (real) and space (real) which serve dream time. We trade two hours of our (free?) time in exchange for self-consolidation? Small groups (500 strangers). One night (show): two hours X 500 = 1000 human hours in real time. Plus, rehearsals. What does it mean that public knows no plays? They never read them. Public is illiterate during the show (oral history). We have to forget anything technological. It has to be crude (realism) life. Real! Arts v. literature: barbaric! But spectator is a reader in his real life. 95% of population get their theatre in their life (theatricality of everyday existence). Who comes to theatre? TV viewers, movie goers. Through actor's reaction to the public's (feedbacks). I, the spectator, read other spectators' reactions (two channels). Hypertexts: Interactive, virtual reality communications where receivers are active by constitution. Masturbation. Future theatre is "full contact" art, my presence within the action (dream situation), being to the full extent a part of the story. As soon as technology could offer 3 D reality theatre would have a new general context. Live? There will be a very thin line between life and illusion. Three models of hypertexts: individual, audience, society. Theatre is silly, if not stupid. (It has to be this way.) The bright do not go to think much about theatre. There's little science in theatre. Theatre is oral and anti-intellectual. To talk about PM spectator is to understand PM mind. He's a visual man. Theatre can't live of presentism. Theatre's narrative is outdated. Realistic drama is linear, slow, predictable. There's no real game with the PM public. After the cinema where spectator technically putting together story, theatre put him in passive position, where he has no need to understand the aesthetics, only psychology. Next to film, drama on stage looks so unsophisticated, with only one specialty left -- live performance. What about the theatrical spectator? VR (ritual, drugs, trance) > others = shadows? VR -- spectator and performer, the audience of one. The end of collective "conscience." Too many of them. "New Stage" -- new technology. Not in control (life) and only partial control (God's position). Dream (like death) -- border of life, alone. Public is a production of extra value (and a product). Qualitative and quantitative difference between true genres and other classes of performances. Aesthetic code or Artistic code (Lotman)? Why should my acting 101 student know about theatre performance structure? Attitude: he doesn't act without directing spectator. Everything is possible. Except for violations of the "miracle rules" -- no return to "reality" but IMITATION of reality (basis for semiotics), everything is massage (communication rules). Missing message is a message, no message is a message, no choice is choice. From the receiver point of view (spectator) there is no a single moment when the stage is not sending messages. When I don't see the sun, it dark; otherwise the sunlight in all its shapes and shades is always there. Play idea, game concept comes from IMITATION. There's no "real space" on stage, only an imitation of space; no up and down only an illusion of directions. The space has to be de-constructed and reconstructed according to new artistic rules. Theatre Game: MIMICRY requires "fiction" (illusion). Before the modernity we heard plays and never saw them. Director is modernism and everything he produces has to be post-modern. Model director is build in within any play and actors. "Stage directions" (even if they are only a dialogue of two) ask for mise-en-scene, arrangements; they don't belong to literature but performance text. Actor, not playwright, made theatre into the act of the present. 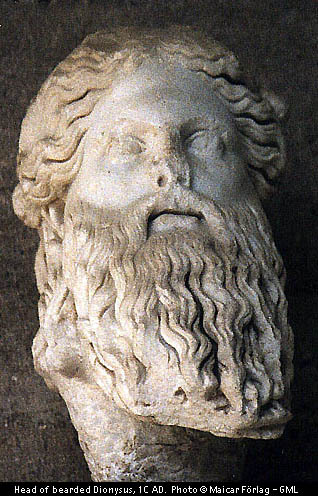 Actor (performer) was the theatre before first great dramas were written. He is the epitome of the present. The division and the separation; the initial stage. Uniting, the final stage. How do we make (neutral?) space emotionally colored? Even with interactive theatre, epic or any other theory breaking-the-border, there is a border (we play with the idea of border). Ritual, beginning and the end of theatre -- real act, the end of imitation! How our sense of "real" space gets suspended? Audience gives away their time (lives). Stage-audience disposition is extremely un-natural => Art Situation is a negation of life, it doesn't exist in nature, only in human nature. The space and time are rearranged on stage with us (audience) being included: SPACE + SPECTATOR = STAGE. Emotions come from reactions to imaginary charged space (actor put them in, fixing at specific spots). Reactions = movement (changes) done through usage of subjective time. "Miracle Time" has to be SUBJECTIVE TIME = f(action). NEW Present Time, which includes past and future, where the future could be before the past and so on. NO-TIME TIME. SUMMARY: SPACE WITHOUT TIME OR TIME WITHOUT SPACE IS THE BEGINING OF STAGE. "And God saw the light, that it was good; and God divided the light from the darkness (?)" -- to define light. What is the nature of our theatre imagination? Visual and verbal. In order for me to read performance space this space has to be define emotionally (tribal mind), space has to have QUALITY = danger, comfort, hope, confusion, etc. "Acting areas" in 101 class. My imagination (following staging) assigns feelings to space. Spots, areas, zones, lines, levels (quantitative and directional approach). Only after frames of reference are established SPACE could be "played." Moving within performance space becomes PERFORMANCE TEXT. THEATRE AND 5 SENSES => with virtual reality/technology advancing, theatre would move closer and closer to spectator. Audience of one, two, a few. Moscow underground experiments of no-audience performance, situation of a ritual. Natural limitation of the Method (acting) is in getting too real, losing IMITATION (and theatricality, semiotics). Unfortunately, most of the time we train the medium, performing body of actor. We emphasize the interpretive not composing element of acting. We still are hypnotized by the powers of the written drama when in fact actor is only starts with drama to create his ACTOR'S TEXT -- Performance. As a result actors are always waiting for Godoh; a great part, director, chance. Actor isn't a delivery service between the text and the audience, he is the final mediur in creating the dramatic experience in minds and hearts of the public. Yes, Actor-Medium is one who facing the spectator. But the same logic of theatre applies to director, designer and playwright. Who is the one behind the role? Much of misunderstanding came from a primitive application of principle of identification. Spectator identifies not with Actor in general, but with the character. The connection is not Actor -- Spectator, but Actor = Character = Spectator. "Personal" relations between one on the stage and another in the house are anti-theatrical. Play and game of theatre as art is based not direct not indirect communications. This indirectness is the ground for possibility of language(s) of theatre.